Associate professor at ECTS of Universidade Lusófona. She has established her research in the DDS Group, but has collaborations with other Portuguese and foreign universities. Her research interests focus mainly on the study of the impact of formulation on transdermal penetration and also in the development of non-invasive in vivo strategies to assess efficacy and safety of topical drugs and cosmetics. Catarina Rosado has been involved in the supervision of several MSc and PhD students, and has hosted in her research lab postgraduate students from varied countries. She has regularly been invited to lecture in Masters and Postgraduate programs in other national and international universities. PhD in Pharmaceutical Technology (Free University of Berlin, Germany). Assistant Professor at the School of Sciences and Health Technologies of Lusófona University, Portugal. She has communications and publications in international peer-reviewed journals and meetings. Her research focuses on controlled drug delivery systems (coated pellets, matrix films and implants) and formulation optimization for skin delivery. PhD in Chemistry (Organic Chemistry) and post-doc in Physical Chemistry. 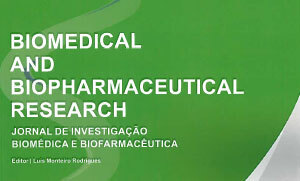 Is currently Assistant Professor at School of Sciences and Health Technologies of Lusófona University, Lisbon, Portugal. Has several communications and publications in International peer-reviewed journals and meetings. Her main research interests concern organic synthesis and pharmaceutical technology, namely towards the synthesis of new drugs and to the synthesis of ionic liquids and their applicability in delivery systems. Has been involved in the supervision of several MSc and PhD students. Is currently Assistant Professor in the School of Sciences and Health Technologies of Lusófona University, Lisbon, Portugal. His area of scientific activity is on development of new drug delivery systems by means of colloidal carriers, structural characterization of proteins entrapped into micro- and nanocarriers, targeted and controlled delivery of drugs across biological barriers, solid state characterization of pharmaceuticals and drying of pharmaceuticals and biopharmaceuticals. In the development of his work acted as partner of 5 competitively funded projects (FCT and CESPU), received awards and distinctions, and published several book chapters and peer-reviewed papers. She has several communications and publications in International peer-reviewed journals and meetings. Her research interests include development and characterisation of nanoformulations for effective transdermal drug delivery, understanding the transport of molecules within the skin and nail by means of imaging and quantitative techniques.